Belonging to the family of Rosaceae, the crops of the first species began in the seventeenth century, in Brittany, France, these species replaced the wild strawberry ( Fragaria vesca). Consumed in large quantities, its cultivation and demand has expanded globally. refrigeration is important during the logistics process in order for maintaining the fruit quality. We offer temperature controlled in transit to preserve fruit during transport. Also, our strawberries are presented in two types of packets: commercial packaging or bags (250g or 500g Terrine or 1 kg wooden box, or any other packing on request). 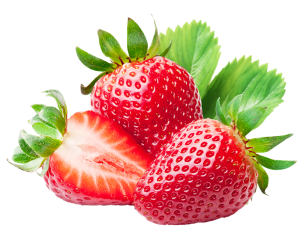 Moreover, our products have the GLOBAL GAP certification in order to offer to the market the tastiest and freshest strawberries. The strawberry production has increased worldwide. It is estimated that has multiplied by four over the past 40 years. Europe is the region that has experienced the greatest growth, with Spain, – whose season is from December to September,- as the second world producer. The production focuses on the community of Andalusia, with 97% coming from Huelva. Meanwhile, Mexico – whose season runs from October through December – ranks third in the strawberry world producer list, and it exports this fruit to 44 countries. The largest producers areas are located in Baja California, Chihuahua, Jalisco, Puebla and Zacatecas. With a unique taste, the strawberry is very appreciated for its sweetness. It is an excellent source of vitamins K and C.
To get an idea, a strawberry cup contains 163% of the recommended daily dose of vitamin C. In addition, it has a good content of fiber, folic acid, manganese and potassium. Moreover, between the nutritional properties we highlight the following per 100 grams: 21 mg purine, 26 mg phosphorus, 5.51g carbohydrates, 13.32 mg magnesium, 2.70 mg iodine, 21.47 mg calcium, 161 mg potassium, 1.68 g fiber, 1.40 mg soda, and 32.24 calories. – The antioxidants help to prevent cataracts, macular degeneration and others eye diseases.